Welcome to Father's Day, our solar system's gas giant. It's the planet where all the ugly ties, golf balls, and cringe-worthy dad jokes are born. Fortunately, for every "World's Best Dad" coffee mug delivered on Father's Day, there's a free food deal out there with Dad's name on it. He'll be able to bury his disappointment about that impersonal gift in big ol' sundae. Here are all the best food deals for dads on the day made for them. The deal: The home of weenies is dishing up free old-fashioned sundaes in honor of Father's Day. 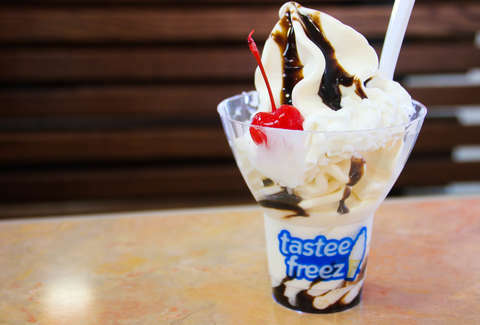 The sundaes are Tastee Freeze soft-serve ice cream doused in hot fudge, chocolate, strawberry, or caramel and topped with whipped cream and a cherry. Bring in your kids or show a photo at the counter to prove your dad-ness. The deal: Take dear ol' dad to TCBY, and he'll get six ounces of frozen yogurt on the house. The deal: Dads eat free when someone else in your party purchases any meal, bowl, or salad. The deal: Dads get a free sandwich with the purchase of another sandwich. The deal: On the road for Father's Day? Pull into a Pilot Flying J and your pa gets a free cup of coffee. The deal: Dads eat free with the purchase of a meal of equal or lesser value. The deal: Your pa (or you, if you're a pa) gets a free appetizer (any item up to $6.99). That includes Chile Con Queso, Fire-Roasted Queso, or Guacamole. The deal: If you're a Pizza Inn Rewards member, dear ol' dad gets a free adult buffet with the purchase of another adult buffet. It's limited to one freebie per group. The deal: You're getting a buy-one-get-one-free deal on sandwiches and burgers with the purchase of two drinks. The deal: Order 10 wings to the table and get another 10 boneless wings on the house. The deal: Breakfast is sorted. LaMar's is giving dads a free donut and coffee. The deal: The shopping rewards app is offering a "Hops for Pops" promo where it will kind of buy you a beer. In the rebate section of the app, you'll find a deal where you can buy a beer anywhere, upload an image of the receipt, and the app will give you a $5 credit. 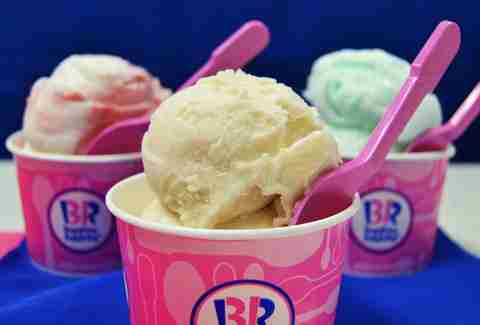 The deal: Download the BR app and get $1 off a medium Cappuccino Blast or any fresh-packed ice cream. The deal: Drop the code "FATHERSDAY" and get $20 off your first purchase of at least $40 from the booze delivery service. The deal: Take $1 off all Boozy Flavor scoops when you order in-store. The deal: If the dad needs a little lobster, get him a gift card. For every $75 you drop, you'll get two bonus gift cards good for $10 off a meal or a free appetizer. The bonuses are good between July and September. The deal: Get 25% off orders when shopping online on Father's Day. The deal: Dads dining at Ruth's Chris will get a $25 dining card valid through August 31. The deal: Order two entrées during your visit on Father's Day and get a coupon for a free entrée for use during a future visit. The deal: ​​​​​​​Carvel and Captain Lawrence Brewery are celebrating Father's Day with all your favorites. 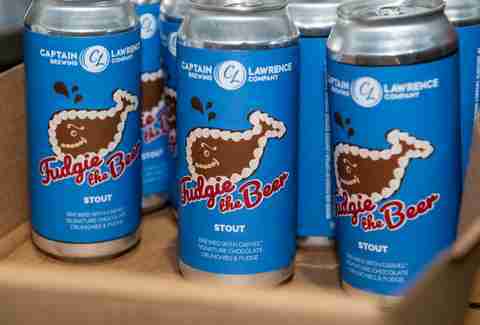 The Elmsford brewery will have free Carvel treats and is brewing a special Father's Day stout based on Carvel's iconic Fudgie the Whale. The beer is called Fudgie the Beer. The deal: The Passport Program's books are loaded with two-for-one deals on drinks in your neighborhood. The $20 book is now available in Boulder, Colorado Springs, Denver, Fort Collins, Kansas City, Minneapolis, St. Louis, and Washington DC.